New Jersey Grinding is a family owned business since 1961 that professionally sharpens knives. They provide knife sharpening rental services to restaurants, butchers, supermarkets and other food service businesses. 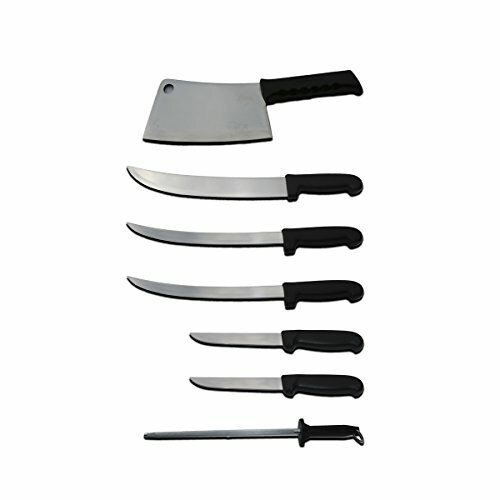 Unlike other knives that can be purchased online these knives have been sharpened before they are shipped. These knives are designed for commercial use and are being used by professional chefs and butchers in the most demanding kitchens and meat rooms. If you have any questions about this product by New Jersey Grinding, contact us by completing and submitting the form below. If you are looking for a specif part number, please include it with your message.